With such a topsy turvy end to summer this year, it was a bonus to enjoy a glorious day for the last weekend of ‘Summer-streets’ in NYC. 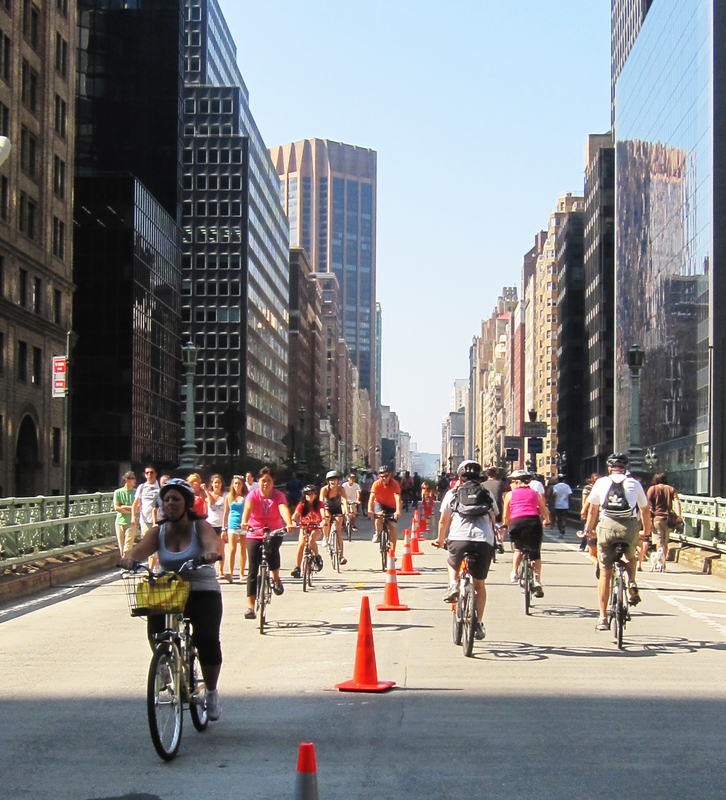 For the 4th year in a row, Park Avenue was closed to motor vehicles from 72nd street all the way to Brooklyn Bridge. Cyclists, joggers, roller-bladers & kids on skate boards enjoyed the freedom of riding in the middle of the road ( which Hurricane Irene offered as well, but without a similar courtesy to sandcastles… ) In front of City Hall just before we turned left onto the bridge the Summer program provided beach conditions – sand pits for children and sand piles for adults. 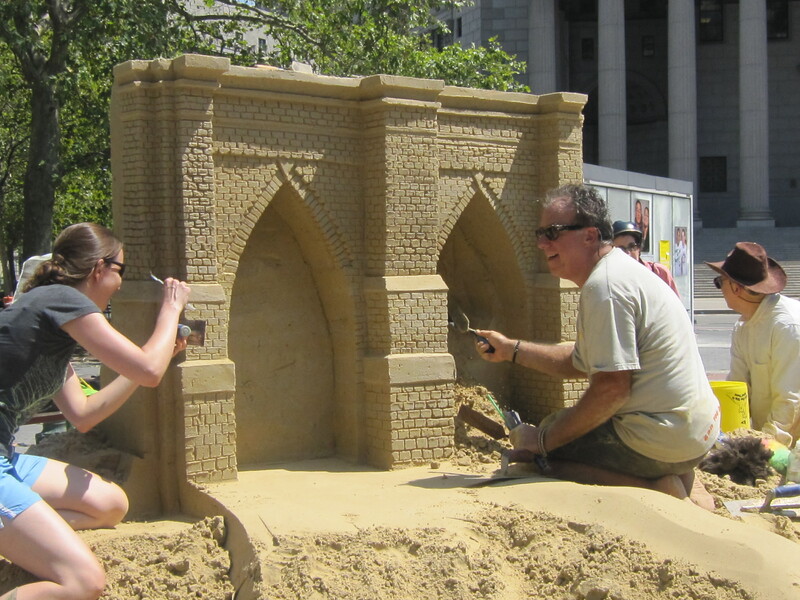 There were even free lessons in sand building…. only in New York!